— There was this story going around on the internet that Hitchcock actually didn’t have a belly button. It was Ron Burrage, a professional Hitchcock doppelgänger, who first mentioned this during an interview at his place in London. Together with Hitchcock himself, Ron Burrage went on to become one of the protagonists in Double Take (2009), the film I was working on at the time. I liked the story of Hitchcock not having a belly button, as it sort of alluded to the fact there might not have been an original Hitchcock after all. If he didnt have a belly button, so I reasoned, he might be a clone and there might actually be many doubles of the master, of which Ron Burrage was one. Ultimately this became also part of the plotline in the film. I was able to verify this anecdote when I stumbled onto the transcript from an all women’s panel on Hitchcock (**) during the research stage of the film. Indeed Karen Black, the last in a row of Hitchcock’s famous female protagonists who featured in the master’s final film Family Plot (1976), recounted this little story as participant in the panel, invoking in a funny way Hitchcock’s sardonic way of speaking. Now while I was completing Double Take with editor Tyler Hubby in Los Angeles, he mentioned that his wife was big pals with Karen Black. Maybe we could interview her for the film and check if the story of Hitchcock not having a belly button was really true? So, in August 2008 that’s what we set out to do: Karen Black, who really is the most wonderful storyteller, honored us in her house and this is her testimony she told us about the master without a belly button. “See the 100 movies I’ve made in a few moments”. 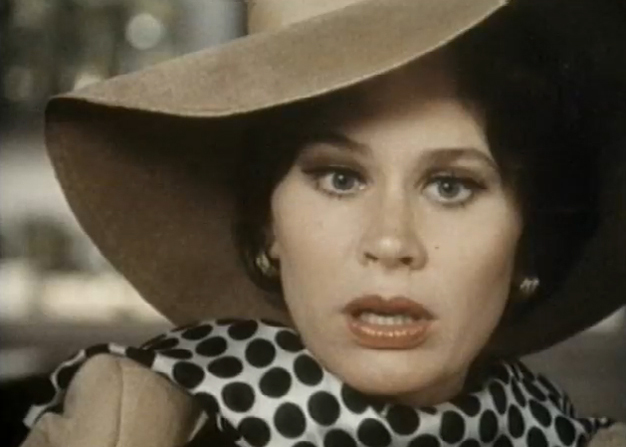 A link to Karen Black’s film work. A VOICE AS SOMETHING MORE by Jodi Dean. Belgian filmmaker/artist Johan Grimonprez caused an international stir with his first feature DIAL H-I-S-T-O-R-Y (1997) after its premiere at DOCUMENTA X. An exploration into media’s mutating collusion with mass perception, this dizzying chronicle of airplane hijacking eerily foreshadowed the events of 9/11. His recent feature DOUBLE TAKE (2009) questions how our view of reality is held hostage by mass media, advertising, and Hollywood. In a plot written by award-winning British novelist Tom McCarthy, the film targets the global rise of fear-as-commodity in a tale of odd couples and hilarious double deals. Traveling the main festival circuit from the BERLINALE to SUNDANCE, his critically acclaimed films have garnered Best Director Awards and were acquired by NBC UNIVERSAL, ARTE, and CHANNEL 4. In addition, his works are part of the permanent collections of the TATE MODERN and the CENTRE GEORGES POMPIDOU. In 2011 HATJE/CANTZ published a reader on his work called IT’S A POOR SORT OF MEMORY THAT ONLY WORKS BACKWARDS. His distributors are SODA PICTURES (London) and KINOLORBER INTERNATIONAL (New York). (*) Karen Black interview with Johan Grimonprez, 2008. Recording by Tyler Hubby and Cole Akers. A zapomatik production in collaboration with the Hammer Museum Residency, LA. (**) Karen Black in HITCHCOCK’S WOMEN ON HITCHCOCK: A PANEL DISCUSSION WITH JANET LEIGH, TIPPI HEDREN, KAREN BLACK, SUZANNE PLESHETTE AND EVA MARIE SAINT, Literature Film Quarterly, 1999 by Greg Garrett.